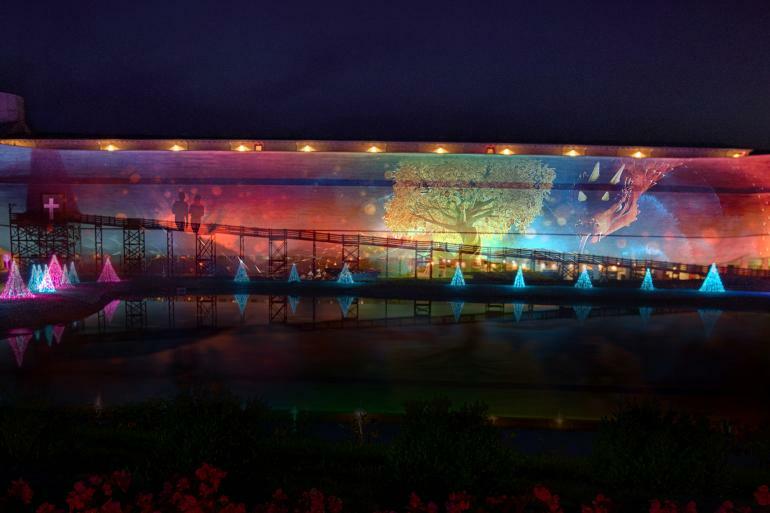 Don't miss the impressive Ark-sized projection show this Christmas season, plus a host of other fun holiday activities. Explore the grounds of the Ark Encounter free of charge. Visit the Ark’s zoo, view the massive Ark from the outside (and its stunning new colorful computer-controlled LED lighting), purchase a traditional Christmas buffet dinner, and visit the large gift and fair trade store. Admission rates apply to enter the Ark and to ride zip lines. ChristmasTime runs during regualr hours starting at 5pm. New this year, try skating right next to the life-size ark! Our state-of-the-art Glice® rink features a synthetic ice that acts just like real ice, using special skates provided by Ark Encounter. Temperature makes no difference, so don’t miss this fun seasonal experience for the whole family! Tickets are $5 (includes skate rental). In 1957, Williamstown Lake became accessible for all to enjoy fishing. Today, it's still a popular place to cast a line. At 300 acres, the city's reservoir produces a variety of fish. Located on Williamstown Lake featuring a Boat launch, Storage & Service, and Trailer & Camping area.